Water-resistive barrier materials have product-specific test properties that they have to test to including dry tensile strength or dry breaking force, pliability and water resistance ensuring they will meet the needed requirements during their service life. The link below to the ABAA Process for Approval will outline those test properties further. Please see the test results below for ASTM E96 values. 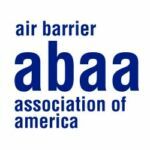 For a water-resistive barrier material to be listed on the ABAA website, the manufacturer shall complete the evaluation criteria process outlined in the ABAA Process for Approval of Water-Resistive Barriers (WRBs) document. Once a manufacturer has demonstrated to ABAA that their material meets the established criteria and has completed the process of submitting test reports and supporting documents for their material, they will be listed in the table below as an “ABAA Evaluated Water-Resistive Barrier” and included in the appropriate ABAA Master Specification.